Elon Musk Unveils His Plan For Colonizing Mars : The Two-Way In a speech at the International Astronautical Congress in Guadalajara, Mexico, the billionaire tech entrepreneur is detailing his vision for sending humans to the red planet. Elon Musk, CEO and CTO of SpaceX, introduces the Dragon V2 spaceship at the company's headquarters in Hawthorne, Calif., in May 2014. Musk predicted during an interview at the Code Conference in Southern California on June 1 that people would be on Mars in 2025. Billionaire tech entrepreneur Elon Musk says his space transport company, SpaceX, will build a rocket system capable of taking people to Mars and supporting a permanent city on the red planet. "It's something we can do in our lifetimes," he said in a speech Tuesday at the International Astronautical Congress in Guadalajara, Mexico, that was streamed online and watched by more than 100,000 people. "You could go." Musk described plans to send at least a million humans to Mars and establish a self-sustaining city there. He said he expects people to reach Mars within a decade, and described four requirements for a new rocket fleet, which would travel to Mars approximately every two years, when Mars and Earth come closest to each other. The requirements for a feasible rocket system are full re-usability, the ability to refuel in orbit, the ability to produce fuel on Mars and identifying the ideal propellant. Because the atmosphere of Mars is largely made of carbon dioxide, and previous missions have found ice on the planet, Musk said he though it would be possible to produce a methane fuel there. One thing Musk was less specific about was who would pay for it all, saying it would be "a huge public private partnership," and that he expected support to "snowball." He did say the cost per person would need to decrease significantly in order for colonization to work. Right now, Musk estimates a trip to Mars would cost $10 billion per person. Musk says he would like to bring that cost down to about $200,000. Musk is very wealthy, and said in his speech that his "only motivation" for amassing personal wealth is to work on making life multi-planetary. 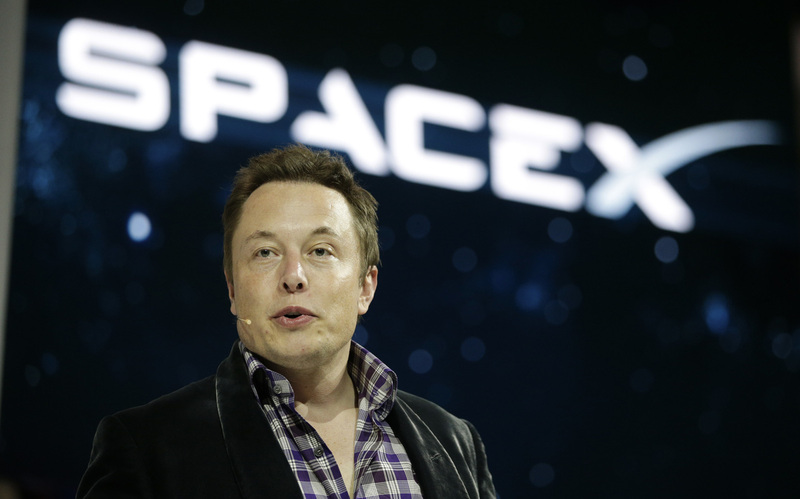 He is simultaneously supporting SpaceX, Tesla Motors and SolarCity. The speech also comes just weeks after a high-profile SpaceX failure: An unmanned rocket and its payload were destroyed in an explosion two days before the rocket was scheduled to launch. It's not the first setback for SpaceX, which has seen rockets explode before — and, as the Two-Way reported, came after a series of successes for the company. But Musk called it the company's "most difficult and complex failure we have ever had in 14 years." The Guardian notes that Musk's "fail-fast" approach to rocket-building is intentional, and tied to his ambition. But the explosion has led some to question whether SpaceX can reliably send cargo to the International Space Station, "let alone take people to Mars," the newspaper writes.